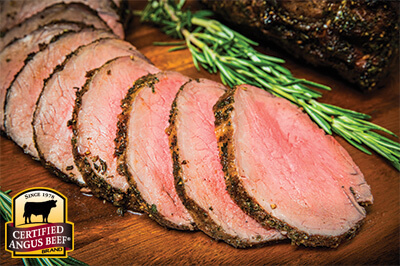 Cranberry Top Sirloin Roast is a gorgeous and delicious holiday meal. 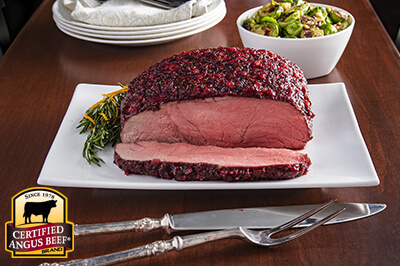 Impress your guests with this easy recipe for a beef roast with tangy cranberry glaze. 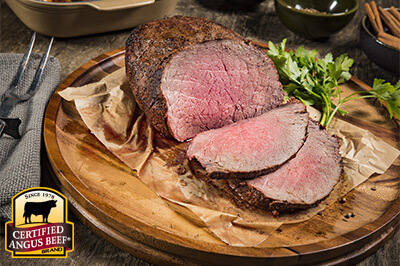 Season top sirloin roast with salt and pepper. In a medium mixing bowl, stir together cranberries, cranberry relish, ginger, orange zest and parsley. Reserve 3/4-cup of mixture for serving and coat remainder over top of roast. Line bottom of roasting pan with foil; top with rack and seasoned roast. Roast 15 minutes, reduce heat to 325°F and cook an additional 1 hour and 15 minutes, or until internal temperature of roast reaches 125°F. Remove roast from oven to a carving board, tent with foil and allow to rest 15 minutes. Slice and serve with reserved cranberry mixture.